A loooong time ago I posted on convertible heels - shows that went from stilettos to flats. Well, there's a new product on its way, Day2Night Convertible Heels! To be honest, I was really skeptical on this idea. I mean, the big difficultly with changing your heel height is changing the pitch of the sole. But Day2Night heels have flexible sole, making them work at any angle! 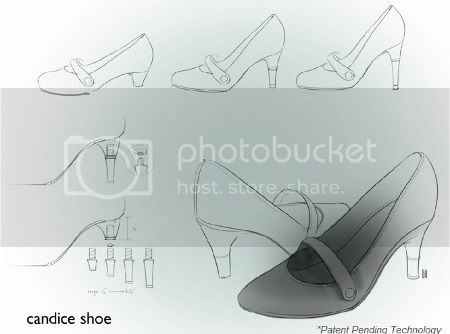 Fund their project on Kickstarter - for $150 you get a pair of shoes once they hit mass production - SO worth it for shoes! I'm officially a backer and I really think you should be too!